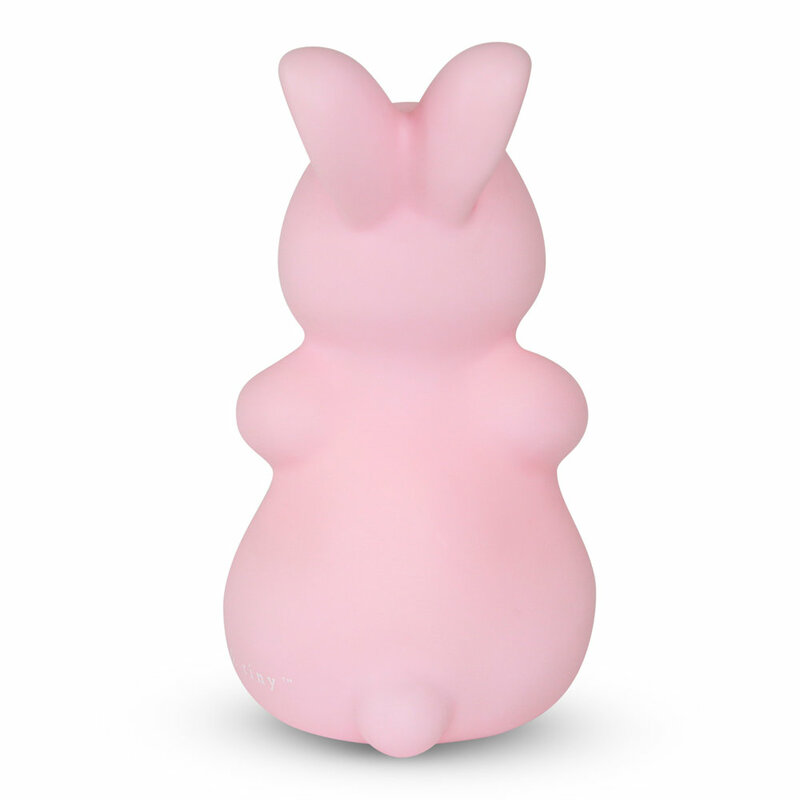 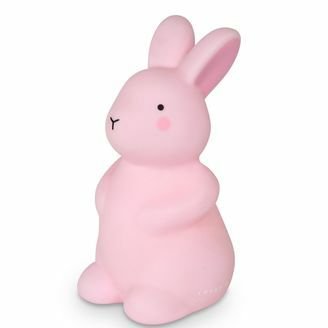 This adorable rabbit lamp, is perfect for kids who do not need a light on all night. 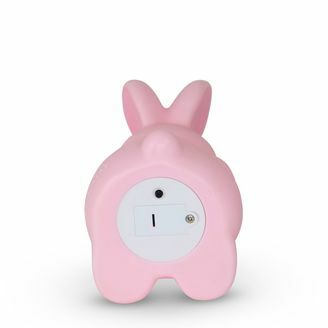 Perfect for a baby nursery when you quickly want to check on your baby without turning on a bright light. 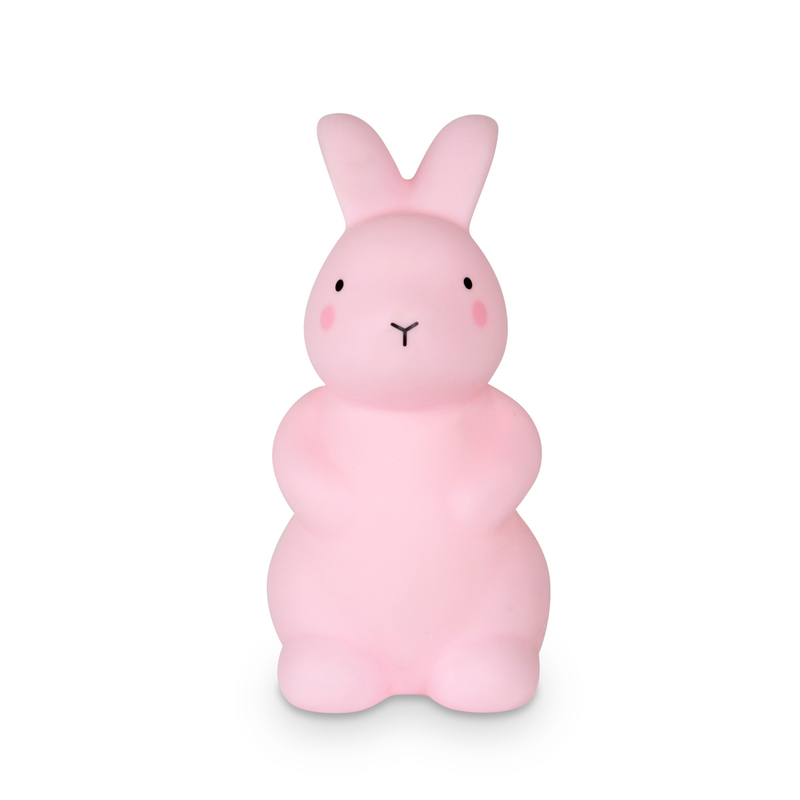 The light will automatically fade off after 15 minutes to extend battery life. Please note that these contain button batteries which are secured in a secure battery pod, but may pose a chocking hazard if swallowed.